Google processes more than 40,000 search queries every second, which translates 3.5 billion searches per day and 1.2 trillion searches per year, according to internetlivestats.com. To rank among the top search results (your main goal through SEO), you can entice users to click your link through a meta description. 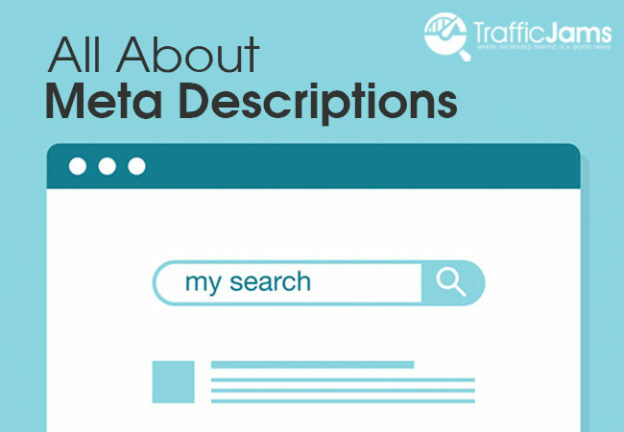 A meta description is a short summary of text that appears below the meta title in search engine results. The summary describes the content of the linked webpage. The purpose of a meta description is to get someone searching on Google to click on your link. Do meta descriptions affect my rank? Google confirmed the meta description is not an official ranking factor for Google search results. However, Google uses click-through-rate (CTR) to rank its results. If you have a good meta description driving clicks, then this can indirectly help your ranking. If meta descriptions aren’t part of the official ranking for Google search results, then should I still write one? Yes, there are multiple benefits to having a good meta description. As mentioned above, it can help increase clickthrough rates by getting people to click on your link instead of the other links on the page. A good description provides the right information at the right time. This can also help when someone performs an Advanced Search. Advanced Search allows a user to enter more criteria for words they want the results to include. The meta description also helps drive visitors from social media. Facebook uses an “open graph” when a link is shared to the site. The open graph automatically pulls the meta description, which appears below the title on the Facebook link. What are the best practices for writing a meta description? It is also necessary to include one or two keywords in your meta description, so people can tell right away that your web page answers their questions. Write compelling content that tells the search engine why the user should read your post. Give the reader a clear reason to click through the article and read your post, and make sure there is a clear call to action explaining why the user should click on your link. If writing for a how-to article, think about how and why your website will solve the user’s problem. What are things I shouldn’t do when writing a meta description? Avoid non-alphanumeric characters such as &, -, +, etc. It’s possible these symbols might not show up properly in search engines. Additionally, don’t use double quotation marks because they will be removed from the description. Make sure you are writing for the human and not the search engine. Don’t stuff your meta description with keywords because this could give a user the impression your website is full of spam. Keep the meta description looking natural. Don’t reuse meta description on all pages, because this could be more misleading than helpful. If you don’t have time to write meta descriptions, Google can do it for you (see question below). Will search engines always use the meta description I write? In some cases, search engines may overrule the meta description. It’s hard to tell when this will happen, but it often occurs when Google doesn’t think the existing meta description adequately answers a user’s question. Google will typically take a snippet from the page that better matches a searcher’s query. If you are searching for more ways to improve your SEO performance and increase your click-through rates, Traffic Jams can help. Contact us at (855)-859-9998 or email sales@trafficjams.com.